Raising money to protect our waters and inspire action. “Whale Tail” license plates created by Wyland have generated over $60 million dollars in support of coastal and marine education and research programs in California and Florida. Whales along Florida’s coast are one of the most thrilling sights in nature. Their presence also indicates an ecosystem in balance. But the future of these incredible animals is threatened. Your purchase of a Protect Florida Whales license plate helps leading researchers, such as Harbor Branch Oceanographic Institution, save our whales for future generations. 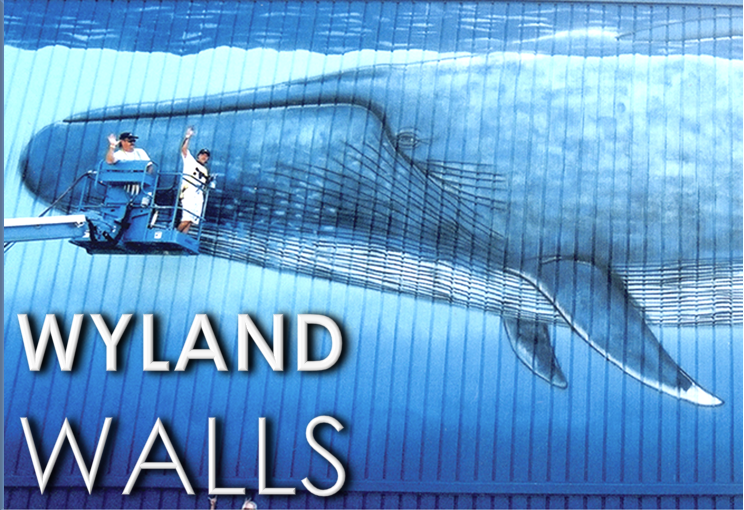 This is the only plate in the state of Florida custom-designed by renowned environmental artist Wyland! Order yours today! Today, whales are threatened by disease, loss of habitat and other factors which lead to an average of one stranding a week along Florida’s coastline. They are also sentinels of our oceans, helping us better understand the relationship between their well-being and the health of the environment we share with them. There are as many as 12 whale species that inhabit Florida’s coastal waters, including the most endangered of all great whale species on the planet — the Northern Right Whale, which depends on Florida’s warm winter waters for calving and nursing their young. Your purchase of a Protect Florida Whales specialty plate supports critical research, education, rescue and rehabilitation efforts focused on conserving the 12 whale species that inhabit Florida waters. Protect Florida Whales license plate revenue supports the response efforts of the Harbor Branch-FAU Marine Mammal Research and Conservation Program (MMRC) and the research of the Marine Resources Council’s Northern Right Whale Monitoring Program. A portion of the funds supports educational programs in Florida by the Wyland Foundation promoting the conservation of Florida marine mammals. To learn more about the programs funded by the Protect Florida Whales license plate click here. 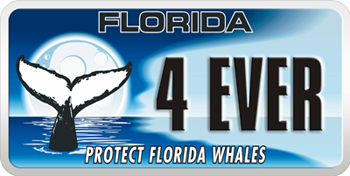 To learn more about the Protect Florida Whales specialty plate or order now, click here.